Nina Kraljić, 24-year-old student from Lipovljani, Croatia, has been singing since the early days of her childhood, and has developed her singing skills through various music projects and the synchronization of animated movies. She left her home when she was 14 because of music and education and kept moving for nine years. First she has moved to Varaždin, where attended secondary music school for solo singing. She also went to school for opera singer and has performed in a series of opera performances in Varaždin. For two years she studied at the Zagreb Music Academy, but did not find herself in this type of musical expression, moving on to study Croatian language at the Faculty of Philosophy in Rijeka. She started singing at an early age, when she introduced herself to Croatian audience singing in Croatian children TV show Turbo Limach Show. She tried his hand at various musical projects, including being a contestant in the 1st season (2009) of Supertalent (Got Talent) where she finished 10th. Nina's dream was to perform in musicals and she got a role of Rusty in Footloose. Nina says she figured out how to approach music when she quit music for two years and dedicated myself to other stuff. 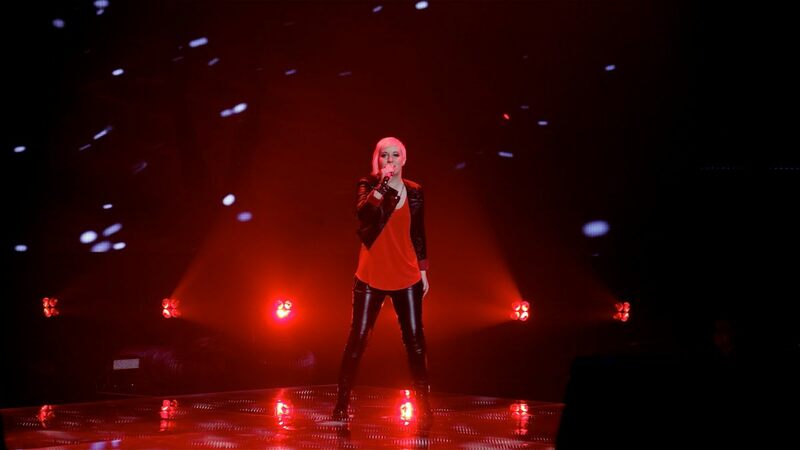 In 2015 Nina has competed in the first season of The Voice – Najljepši glas Hrvatske. She won the show performing for the team of Jacques Houdek. 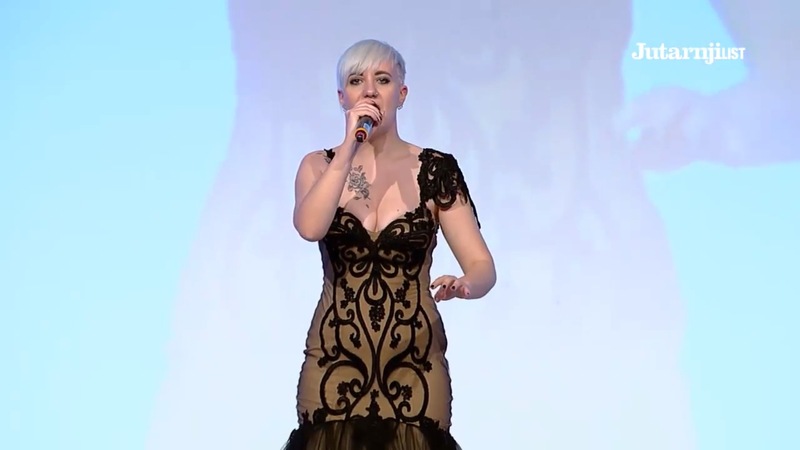 In the live shows she sang "Wicked Game", "Što te nema", "She Wolf", "Nothing Else Matters" and in the final on 25 April 2015 "Beneath Your Beautiful", "Euphoria" and "Zajdi, zajdi" winning the show with almost 200.000 votes. Her winning performance was seen on Youtube around one million times. Shortly after her victory she has released debut single "Zaljuljali smo svijet". The official audio and video of the single have been viewed more than 600.000 times on Vevo. In the beginning of 2016, she was three times nominated for Croatian Music Awards - Porin 2016 (Best New Act - which she won as well as Best Song Arrangement and Best Female Vocals Performance). 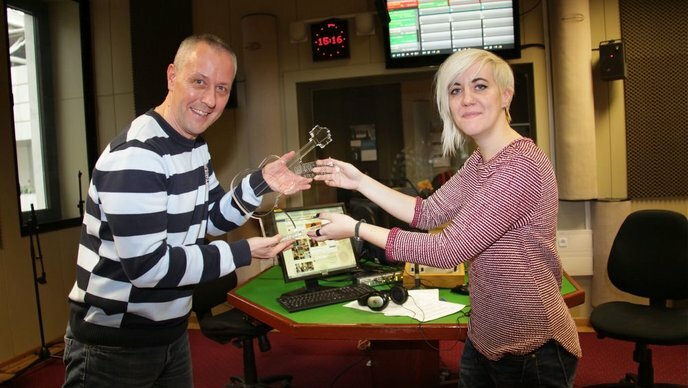 Nina was also recognized as a Best Newcomer by Croatian national public broadcaster’s radio HR2. Nina likes to play videogames on her Playstation, she is obsessed with writing, calligraphy and colours, and has two tattoos, dedicated to people that mean a lot to her. She is not a fan of partying the way her generation does it - she prefers spending time at home, with her loved ones or solo in her own world. Nina Kraljić is widely seen as the most promising recent discovery of the Croatian music scene. 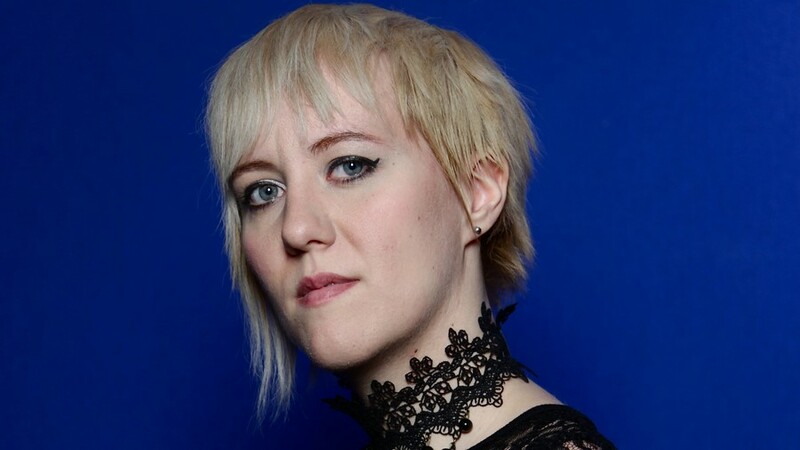 Her participation in the 2016 Eurovision Song Contest had already been widely rumoured in the national press, and on 24 February it was officially confirmed by public broadcaster HRT. "In the past year wonderful things have happened, from winning the show The Voice Croatia to three nominations in the Porin awards, and now I am going to Sweden to represent Croatia. I have been following Eurovision since I was little, and in a certain way, this is a dream come true. The Eurovision Song Contest will, regardless of the changes brought on as time passes, remain the most recognized singing competition in the world. From my Eurovision participation I expect first of all a good performance, and I hope that the efforts will pay off. The most important part for me is to represent Croatia in the best light." "It's a big honour for me that after two years of absence from the Eurovision Song Contest, it is Nina Kraljić, last year's winner of The Voice, who will represent us", Croatian Head of Delegation Željko Mesar states. "She will compete in the First Semi-Final and we believe in her success and her trust that she can qualify for the Final on 14 May and sing in front of 200 million TV viewers. Her song will be very interesting, tailored to Nina's voice, and she will represent us in the best possible way, which only she can do." 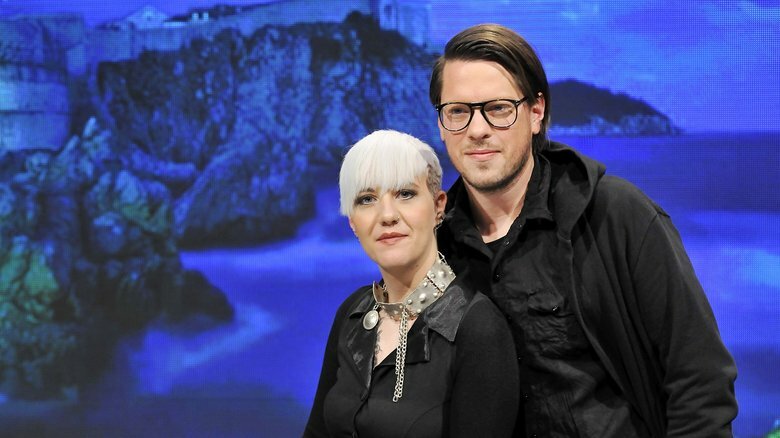 Lighthouse is the title of the Croatian entry in the 2016 Eurovision Song Contest, which premiered on 9 March 2016 during a special radio programme broadcasted on HR 2 and hosted by Zlatko Turkalj Turki. The song was written by Andreas Grass and Nikola Paryla (Popmaché) from Austria (who were also the co-writers of "Shine", the Austrian Eurovision Song Contest entry in 2013), and it was produced by Thorsten Brötzmann in Germany. Nina Kraljić points out that she is very happy because her song is a combination of what she loves: relatively modern sounds and ethno. "It has been an exceptional honour for me to work with such a talented and experienced team. The song has a brilliant message of hope, which, without looking at all the mischiefs in life, is always present and shining", Nina explains. Nina Meden from Universal Music Croatia adds: "We are currently recording her debut album, which will not only include her first single Zaljuljali smo svijet but also her song for the 2016 Eurovision Song Contest.". "Before we started working on the song, we watched at YouTube all Nina's performances in the Voice competition and we listened to her first single, which altogether gave us certain impression of Nina as an artist. Then we began to look for themes and musical ideas that would be consistent with her style keeping in mind, of course, that it could be a song that will represent her country at the Eurovision Song Contest. The song was written especially for her. We wrote it, recorded a demo and sent it to the record label. After that we met her in the studio and made together through the song refining it. We were both pleasantly surprised when Nina started to sing. We talked about the lyrics, tried different intonation and listened to what she generally thinks about the song. 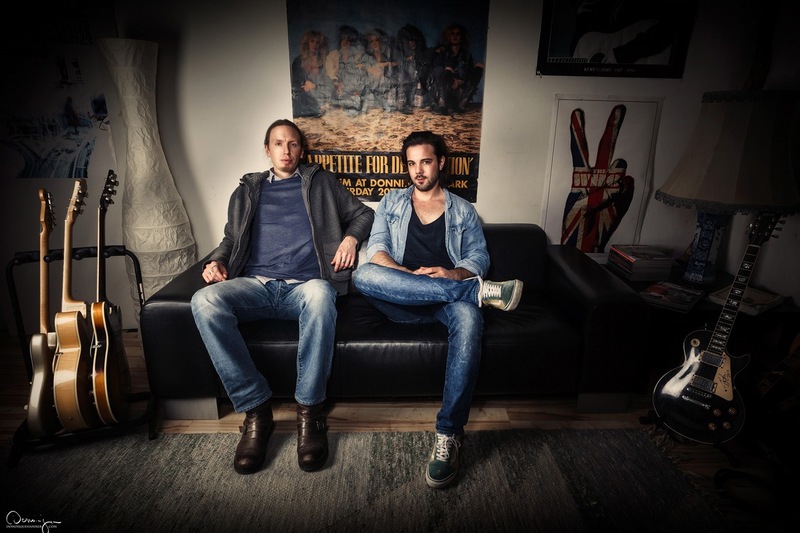 In the end we were all satisfied with the result", say Andreas Grass and Nikola Paryla (Popmaché). "In general we believe that the lyrics are very important, even though at first listen music and melody get more attention. But if you listen to the song several times, it is good to have an interesting story that touches you as a listener. When talking about the song "Lighthouse", the lyrics can be viewed from two different angles. At first glance, a clear story about the person who is lost at sea and seeking the way to the safe harbor, but all this can be viewed also metaphorically, which leaves room for different interpretations. If you want to be reduced to one word, then it is definitely a song about 'hope'"
"The voice of Nina Kraljić touched me already at the very first listen, and even more so during the studio recording of the song Lighthouse. Her performance has given the song a wholly new dimension. I think we have created something extraordinary, something magic", comments Thorsten Brötzmann, who has worked with many world-famous artists, including Lena, Bonnie Tyler, No Angels, Reamonn, Amy MacDonald, and Modern Talking. At today's press conference the entire Croatian delegation for this year's Eurovision Song Contest was presented. Acting Director General of the Croatian Radio and Television, Siniša Kovačić wished Nina Kraljić good luck and great success in the Eurovision Song Contest. "As I have already said when we premiered our song for Eurovision, you are made ​​for the big stage,", he praised Nina. "We believe in success. I have a good feeling. I must mention that the grand finale of the Eurovision Song Contest is on May 14 and on May 15 we celebrate a big anniversary - 90 years of the Croatian Radio and 60 years of Croatian television. We expect a gift. If something really nice happens, we expect you at the celebration in Zagreb,", he concluded. Nina Kraljić herself revealed that she is not worried yet, since she is equally preparing for any performance, regardless of the size of the audience. "But I do not know how I will feel at that moment", she added. 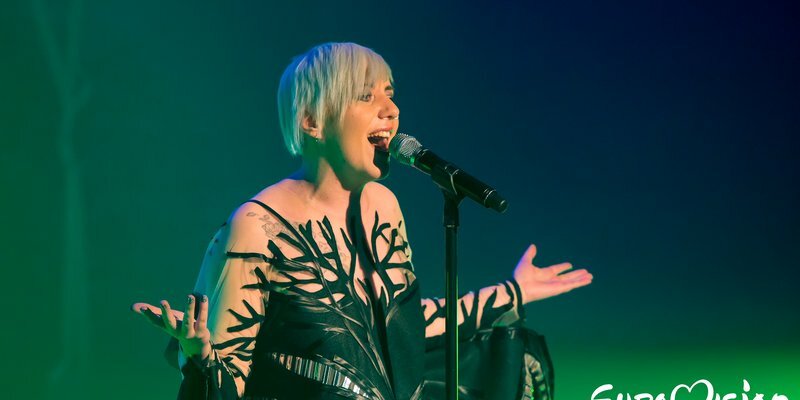 Singer has also spoken about her participation in Amsterdam and London Eurovision parties, highlighting that videos of her performances at the events were the most watched ones. She also expressed the opinion that the quality of the songs in the Eurovision Song Contest has increased this year. "The competition is really strong and it will be very interesting," she concluded. After the Eurovision Song Contest she is not planning a vacation, but wants to work on her debut album. Head of the Croatian delegation, Željko Mesar, informed that the delegation will arrive to Stockholm on 1 May. Producer Rajko Pavlović introduced the part of the delegation which will remain in Zagreb lead by the editor Elizabeth Homsi. The national final jury will be made of Duško Mandić - chairman as well as Boris Đurđević, Pamela Ramljak, Damir Kedžo and Kim Verson. Dusko Ćurlić will be commentator of the broadcast on HTV1 and HR2. In the final results of the jury vote will be presented by Nevena Rendeli. Special broadcast with Zlatko Turkalj Turki is planned in the morning program of HR2. Designer of Nina Kraljić's outfit for Stockholm Juraj Zigman has spoken about being lucky to be chosen as the designer. In addition to Nina's dresses, Zigman will create clothes for the backing vocalists. "It is time to visually stand out at the Eurovision Song Contest. We can do so because we have great designers in Croatia", he said. Nina's shoes for the performance at the Eurovision Song Contest will be designed by Ivan Ledenko. The line-up of the backing vocals has been presented as well: Andrej Babić, Martina Majerle, Danijela Večerinović and Lino Lacmanović Ćućić. Andrej Babić is known as songwriter of entries of Portugal 2012, Slovenia 2009, Slovenia 2007, Portugal 2005, Croatia 2003. He has also performed as the backing vocalist for Slovenia 2007 and Croatia 2003. 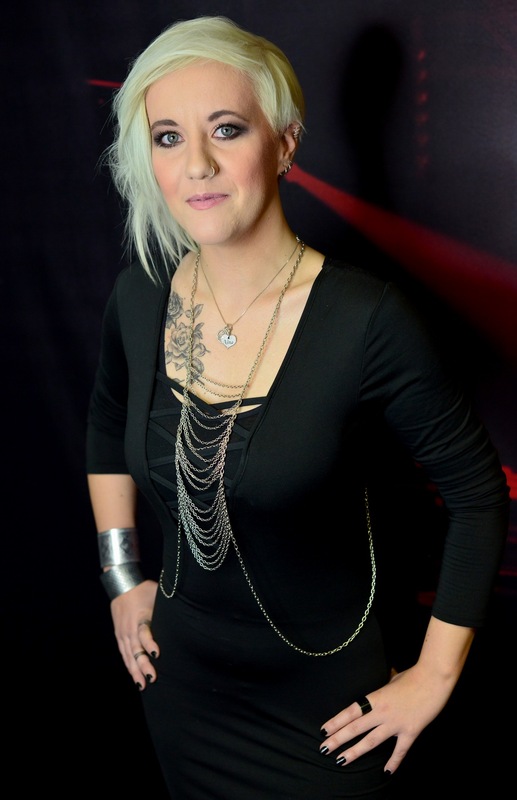 Martina Maherle provided leaving vocals for Slovenia 2009, and backing vocals for Slovenia 2007, 2011, 2012, Croatia 2003 and Montenegro 2008. Andrej Babić praised the work of outfits designer, saying "The outfit of Nina is really spectacular. I dare say that Croatia has never before had such a dress and such a fashionable approach. I think that the performance both visually and vocally will be at the highest level and will be a performance to remember". On Friday evening Croatian representative at the Eurovision Song Contest Nina Kraljic has appeared at the Crystal Hall of Westin Hotel at the final of national preselection for the Miss Universe 2016. Watch her performance here (at 1:50:00). A young Croatian fashion designer and costumer, Juraj Zigman, was selected as designer of the outfits that Nina Kraljic will wear at the Eurovision Song Contest. Nina already was dressed in Zigman's dress last Saturday at the "Eurovision in Concert" in Amsterdam. Juraj Zigman has worked with many local and regional music stars. "The work is different from everything else I do, the commercial collections that are presented on the catwalks. I love the stage, but work with every entertainment star is as a challenge, regardless of their musical expression, " said Zigman. However, it is a special pleasure to work with Nina Kraljic. "Nina, and her song 'Lighthouse', really inspired me. It is rare for me that music inspires me to that extent, but this song took me to another world, " he revealed. Zigman is also working on the outfits for the female half of Bosnian and Herzegovinian team. 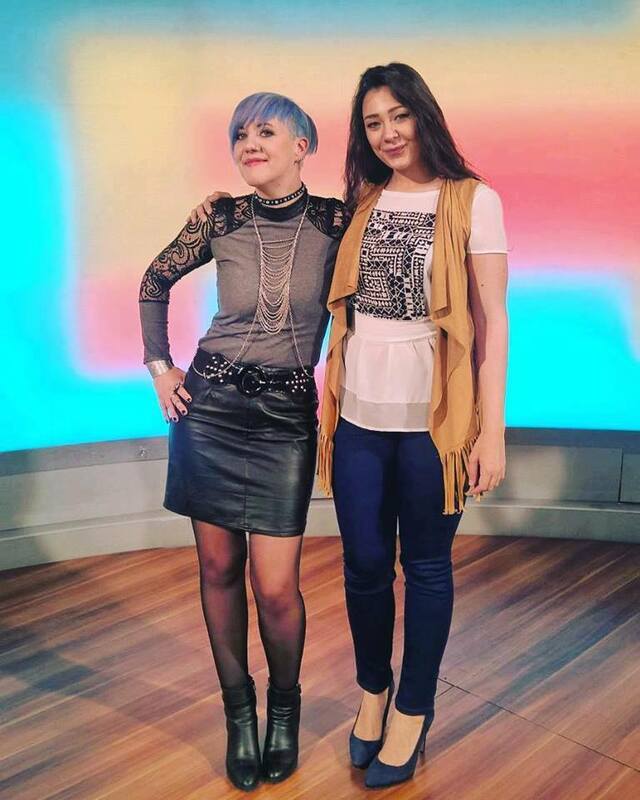 This Saturday Nina Kraljic will perform as a guest on the show "The Voice – Najljepši glas Hrvatske". A day after the performance in the semi-finals of "The Voice", Nina is expected to participate in yet another promotional event - the "London Eurovision Party". Her last home performance before the departure to Stockholm will take place in the Lisinski Concert Hall in Zagreb on 27th April where she will perform at a joint concert with Jacques Houdek, her mentor from the Voice. Besides few special surprises, at the concert Nina will also perform acoustic version of her entry "Lighthouse". Presentation of the official music video for the Croatian entry "Lighthouse" performed by Nina Kraljić took place today in the morning program of HRT Dobro jutro, Hrvatska. Together with Nina show was attended by the music video director Filip Filković Philatz. He said that the cooperation with Nina was great. The main idea of the video according to him was to build the world that surrounds the song and Nina. "Everything is made of a playlist based on some great background stories, so the viewers will pass through a series of short scenes that we present in the video, said Filković. Nina Kraljić says she was delighted with the script and the music video that was filmed like a short film. Most of all she liked that it has a theme of hope and is deeply symbolic and shows no expected motif of water and the lighthouse. "We follow the story of Nina on planet Earth who is looking for the link with the spiritual Nina, who unloaded earthly difficulties and troubles is freely travelling in the universe and symbolyzes hope", describes Nina Kraljic. After her appearance in the program Nina will travel to the two promotional events in Amsterdam and London. Nina Kraljić has completed filming of the official music video for the song Lighthouse. For the realization of the video weas responsible well-known director Filip Filković Philatz and Antitalent production. 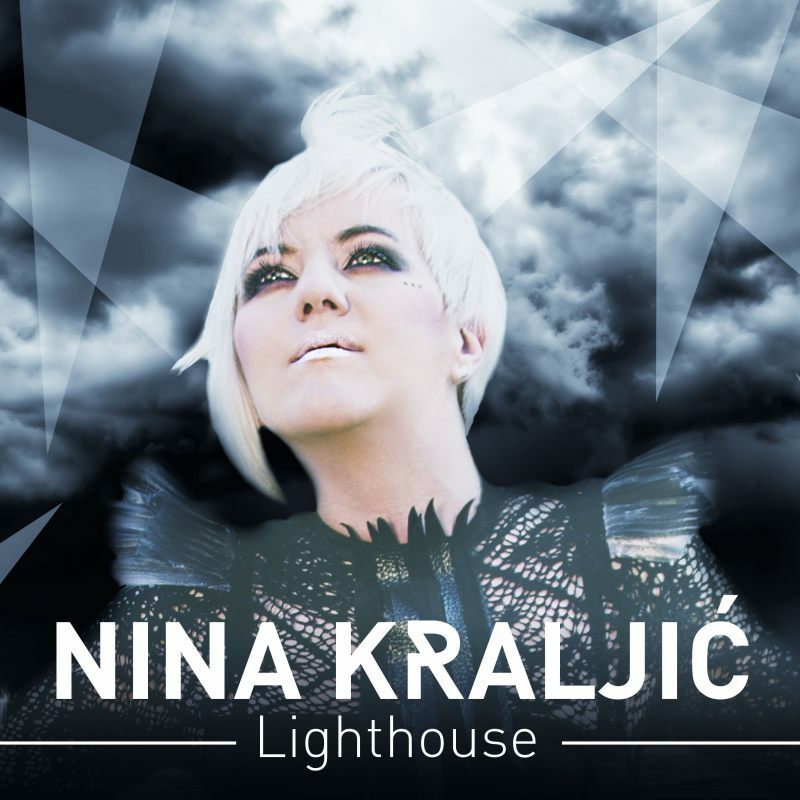 "The song Lighthouse, sung by Nina Kraljic is not a plagiarism. In fact, there is a phrase of two bars identical to those in the song Uncover, which is often the case in music. However, in the opinion of the expert commission there is sufficient evidence to suggest that this can not be considered as plagiarism because plagiarism definition implies melodic line of four bars that are fully consistent with the original, as in this song this is not the case. The song Lighthouse is reminiscent of similar songs of the same musical genre. The Commission considers that the songwriter had no intention of plagiarism"
Croatian Radio and Television on this occasion once again indicated it's support for the Croatian entrant and wished the best of luck and success in the upcoming 61st Eurovision Song Contest in Stockholm and believes that Nina will present Croatia in the best light. 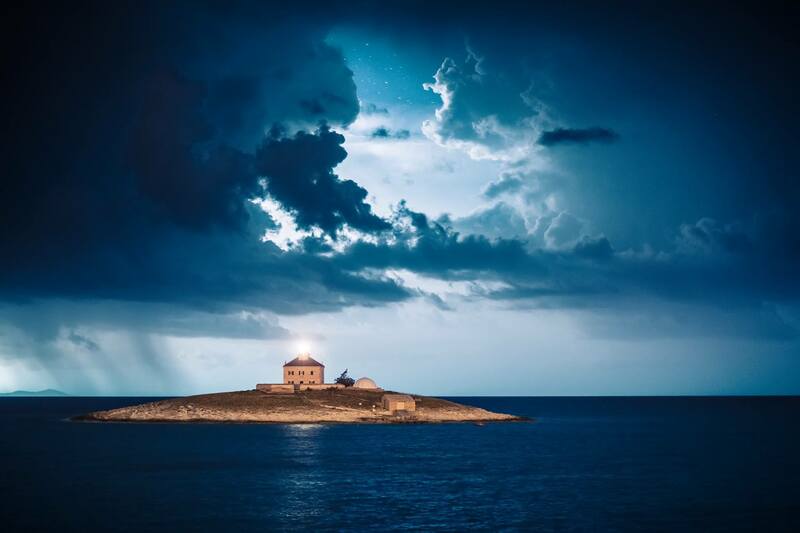 Croatia has released preview video for "Lighthouse" which is 3 minute cut of earlier release documentary video "Hvar - into the storm". "For the song 'Lighthouse' and Nina's impressive vocals we have used ​​truly sensational masterpiece made by Romulić & Stojčić production. We have selected video of Hvar island because it really is one of the most beautiful Croatian islands", said the head of the Croatian delegation Željko Mesar. Hvar may well be "the sunniest Croatian island", clocking in the average 2726 hours of sun yearly, drawing in thousands of tourists, sailboats and yachts, but it also has a darker side which is just as stunning. The creative duo and Total Croatia News collaborators Mario Romulić and Dražen Stojčić spent 2 years filming the skies around the famed island and their final cut was released on February 8, 2016. During the two-year period, Romulić and Stojčić were lucky enough to capture some spectacular thunderstorms in slow motion and time lapse techniques. They shot over 350,000 thousand photographs, picking "only" 10,000 best frames for this film. The filming took place on the island Hvar itself, but also from mountain Biokovo and nearby island Brač. Official music video for Lighthouse will be released in the next 10-15 days. 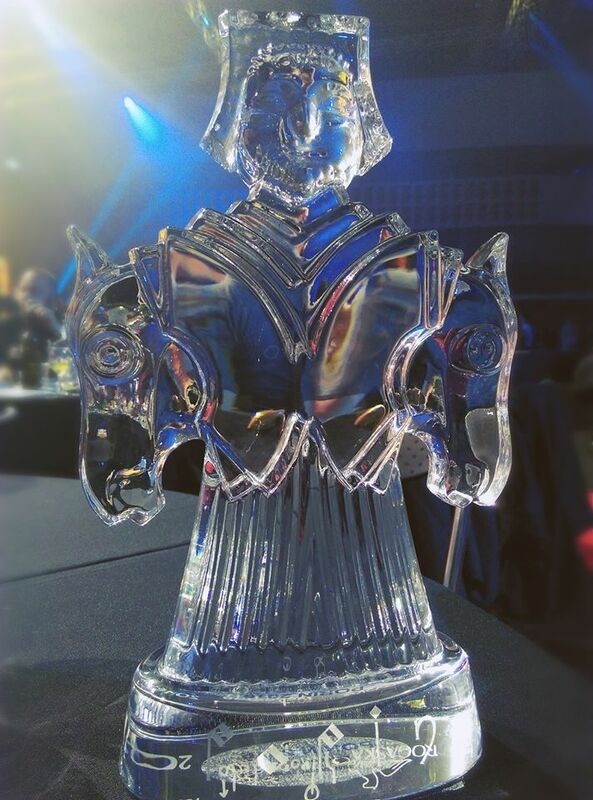 Nina Kraljić tonight won the music award Porin in the category of The New artist of the year. The Croatian representative at this year's Eurovision Song Contest due to an illness, unfortunately, was unable to attend the 23rd awards Porin ceremony which was held in Split. "I can only say that I thank my record company for the opportunity, Ines Prajo, Arjan Kunštek and Tihomir Preradović for their trust, my parents and close friends who are always there for me and the public that recognized me. We strive to continue to work in the service of art and prove that music has no boundaries," wrote Nina on her Facebook page. Croatian Composers Society has criticized HRT song choice for the Eurovision Song Contest 2016, because it was written by foreign songwriters. "We have been unpleasantly surprised with the precedent that was made by the Croatian Radio and Television. We know that the other Member States of Eurovision may have renounced their patriotism and national identity, engaging foreigners to write the songs for their artists, as well that some Croatian authors, members of the Society, wrote songs for the representatives of other countries. However, there are at several reasons why we believe that Croatia should be represented by the song written by Croatian authors: 1) Croatia has successful music industry with a number of active composer, one of whom once wrote the winning song of the Eurovision Song Contest and ignoring these people means to produce a situation that is comparable to that if France Public Television sent to the international culinary competition some speciality of Italian or German cuisine; 2) Each song is a commercial product, a business venture in which the composer and songwriter invested their talent, knowledge and time, arranger and producer their technical and professional resources, a music label and publisher money and infrastructure. Using a powerful promotional platform of Eurovision Song Contest, in order to promote the song that resulted from outside of this national chain, represents the failure and damage to the national economy. 3) The patriotism: Croatia has paid dearly for its statehood and national existence. Croatian language, music and other cultural expressions are part of the Croatian identity. Awareness of this should have all Croatian citizens, especially employees of institutions such as the Croatian Radio and Television"
Finally, the letter emphasized that Composers Society has found particularly problematic the way in which "Lighthouse" was selected for the competition, and without wishing to be destructive to young and talented Nina Kraljić at her first international engagement, they wish her good luck and success with the song "Lighthouse". However, they appeal to the responsible people of HRT that next year they become more aware of its role as the national public broadcaster and in the selection for Eurovision Song resort back to the national song-writing resources. "What has a national patriotism to do with the Eurovision preselection? ", responded Nina Kraljić herself. "Everything we do, is aimed for the better placement and for that was chosen the best possible song, and the choic was made by music and not nationality. It's an absolute disgrace. You kill what's music: the universal language and togetherness. You yourself admit Croatian composers often send songs outside Croatia. Why then there is a problem? This constant negative approach is scary and tiring". Acting director general of HRT Siniša Kovačić admitted that he is "sorry that the song with which the Croatian representative will take part at this year's Eurovision song contest was not selected from the national songwriters". He added that he believes the new program management of Croatian Radio and Television in the future will establish a different way to select the song that represents Croatia at the largest European music competition. "But at this moment important to say that we are supporting our Nina Kraljic. She is a talented, young musician and has a great song, so we wish her success in this year's Eurovision Song Contest". Nina Kraljić with Swedish television crew on several locations in Zagreb recorded a postcard that will be broadcasted before her appearance in the semi-finals of Eurovision Song Contest on 10 May in Stockholm. Director Maceo Frost, cameraman Lionel Cobrero and technical assistant Georg Bungard with Nina visited the Museum of Arts and Crafts, Mirogoj cemetery, Funicular, the Upper Town and Nina's favorite patisserie. Premiere of the song that Nina Kraljić will perform at this year's Eurovision Song Contest will take place on Wednesday, 9 March, at 12:00 on Second Program of Croatian Radio (online). Guests of the host Zlatko Turkalj Turki will be Nina Kraljić herself, head of the Croatian delegation at the contest Željko Mesar and marketing manager at Universal Music Croatia Nina Meden. Nina Kraljić has given interview to Croatian newspaper Večernji list, which you can read in full here. She says she handles the excitement in the same way, whether she performs in front of five people, or over a million, and that she hopes not to experience worry on the Eurovision stage. Nina says she follows Eurovision from an early age and remembers all winners, but her favourite one is Emmelie De Forest's "Only Teardrops". From local entries her favourite is the one by Doris. She says that it is impossible to count the right formula for Eurovision success, and she doesn't bother to do that, but rather doing what she can best. Her entry, which will be presented on 9 March, has been recorded in both Croatian and English version, and the language of performance is not finalized yet. "English can reach broader understanding in Europe, in Croatian it is more convenient to pass the song's sensibility", says performer. Her style should enhance the song presentation, so several designers have been given the song to create it's visual atmosphere. The outcome is likely to be "arty", so something different from the classical dresses. Singer plans by September to release her debut album, which will have two self-written songs in it. She has been writing own songs in English, but hopes to write in Croatian as well, but she says for that one need to have a high level of poetry. After that her next task will be to play the guitar. As reported by Story.hr, the largest part of costs of Croatian participation in the Eurovision which in total is about 200.000 Euros will be finaniced by partner of Croatian Radio and Television, record label Universal Music Croatia, for which Nina Kraljic had recorded her debut album, which will also include the song with which Nina Kraljić will represent Croatia. Universal Music in this case takes care of the entire production of the song Nina will perform in Stockholm, as well as recording of music video for it. The rest of costs is planned to cover through sponsors and advertisers. Croatian broadcaster HRT has confirmed it's participation in Eurovision Song Contest 2016 on the last date for withdrawals without financial penalties on 26 November 2015. At the New Year turn Aleksandar Kostadinov has quit HRT after 29 years in the organization and 15 years on the position of Head of Delegation. HRT has announced internally chosen representative of Croatia on 24 February 2016. Нина Кральич - 24 летняя студентка родом из Липовльяни, которая пела с самого раннего детства, и разработала свои вокальные умения при помощи участия в различных музыкальных проектах, и озвучивания мультипликационных фильмов. В 14 лет она покинула родной дом для того, чтобы продолжить музыкальное и школьное образование, и продолжала переезжать на протяжении девяти лет. Сначала на перебралась с семьей в Вараждин, где закончила музыкальную школу по классу сольного вокала. Она также занималась в школе оперным вокалом и выступала в различных оперных постановках в Вараждине. После этого она два года занималась в Музыкальной академии Загреба, но не нашла себя в этом виде музыкального самовыражения, и вместо этого перешла заниматься хорватской лингвистикой на факультете философии в Риеке. Нина начала петь с раннего возраста, когда она впервые представила себя хорватской аудитории, выступив на детском телешоу Turbo Limach Show. Она также попробовала себя в различных других музыкальных проектах, была конкурсанткой 1го сезона (2009 года) в шоу Supertalent, где заняла 10е место. Мечтой Нины всегда было петь в мюзиклах, и она получила роль Расти в Footloose (Свободные). Нина говорит, что смогла определиться со своим отношением к музыке только тогда, когда на два года полностью прекратила ею заниматься и посвятила себя другим вещам. В 2015 году Нина приняла участие в 1м сезоне телешоу Голос – Najljepši glas Hrvatske. Она одержала победу на нем, выступая в команде Жака Худека. На живых шоу она исполнила песни "Wicked Game", "Što te nema", "She Wolf", "Nothing Else Matters", а в финале 25го апреля 2015 - "Beneath Your Beautiful", "Euphoria" и "Zajdi, zajdi", одержав победу, получив почти 200 тысяч голосов. Ее победное выступление собрало свыше миллиона просмотров на Youtube. Вскоре после ее победы певица выпустила свой первый сингл "Zaljuljali smo svijet". Официальное аудио и видео на песню собрало свыше 600 тысяч просмотров на ее канале Vevo. Недавно, Нина была номинирована на Хорватскую музыкальную премию Porin в категориях Лучшее женское вокальное исполнение, Лучшая аранжировка и Новый исполнитель года - в которой она и одержала победу. Также она является обладательницей Moj prvi Music pub радио HR2 как Лучшая молодая певица прошлого года. Нина любит играть в видеоигры на Playstation, обожает чистописание, каллиграфию и раскрашивание, и у нее есть две татуировки, посвященные тем людям, которые многое для нее значат. Она не поклонница тусовок, так как это любит современная молодежь - а предпочитает проводить время дома с родными, или самой собой в собственном мире. Нина Кральич широко рассматривается как наиболее многообещающее недавнее открытие хорватской музыкальной сцены. Ее возможное участие в Евровидении 2016 уже давно широко обсуждалось в хорватской прессе, и, наконец, 24го февраля было официально подтверждено общественным вещателем HRT. "За прошлый год со мной произошло множество потрясающих вещей, от победы на шоу Голос Хорватии, до трех номинаций на премии Porin, а теперь я еду в Швецию представлять Хорватию на Евровидении. Я следила за Евровидением с раннего возраста, и, в какой-то мере, моя мечта уже сбылась. Евровидение, несмотря на все те изменения, что происходят в нем со временем, остается наиболее узнаваемым песенным конкурсом в мире. Прежде всего, там я хочу показать хорошее выступление, и, надеюсь, что все мои усилия не пропадут даром. Для меня важнее всего представить Хорватию с наилучшей стороны." "Это большая честь для меня, что после двух лет отсутствия на Евровидении, в этом году нашу страну представит Нина Кральич, победительница шоу Голос", говорит новый глава делегации Хорватии Желько Месар. "Она выступит в первом полуфинале, и мы верим в ее успех, и уверены в том, что она сможет выйти в финал шоу 14го мая, и выступить перед 200 миллионами телезрителей. Ее песня будет очень интересной, специально подобранной под голос Нины, и она представит нас в наилучшем виде, так, как сможет только она." Lighthouse - так называется песня Хорватии на Евровидении 2016, премьера которой прошла 9го марта 2016 во время специальной радио программы, вышедшей на радиостанции HR 2 с ведущим Златко Туркалем Турки. Песню написали австрийцы Андреас Грасс и Никола Парила (Popmaché) (также авторы песни Австрии на конкурсе Евровидение 2013 "Shine"), а спродюсировал Торстен Брёцманн в Германии. Нина Кральич очень довольна тем, что песня совмещает в себе именно ее любимые элементы: достаточно современное звучание и этнику. "Для меня было невероятной честь работать с такой талантливой и опытной командой. Песня несет в себе месседж надежды, которая, несмотря на все несчастья в жизни, всегда присутствует и светит нам". Представитель лейбла Universal Music Croatia Нина Меден добавляет: "В настоящее время мы работаем над записью дебютного альбома Нины, в который войдет не только ее дебютный сингл Zaljuljali smo svijet, но и ее конкурсная песня для Евровидения 2016.". "Прежде чем мы начали работать над песней, мы пересмотрели на Youtube все выступления Нины на Голосе, и прослушали ее первый сингл, что все вместе дало нам определенные впечатления о Нине как артистке. Потом мы стали искать темы и музыкальные идеи, которые бы совпадали с ее стилем, также имея в виду, конечно, что эта песня может быть выбрана для участия в конкурсе Евровидение. Песня была написана специально для Нины. Мы написали ее, записали демо, и отправили его на лейбл. После этого мы встретились с Ниной в студии, и вместе с ней проработали песню. Мы были оба очень приятно удивлены, когда Нина начала петь. Мы обсудили текст песни, попробовали различную интонацию, и прислушивались к ее мнению. В конце-концов, мы все остались довольны результатом", говорят Андреас Грасс и Никола Парила (Popmaché). "В общем, мы считаем текст важной составляющей песни, несмотря на то, что при первом прослушивании музыка и мелодия привлекают к себе большее внимание. Но если вы будете слушать песню несколько раз, то хорошо бы иметь в ней интересную историю, трогающую слушателей. Если речь идет о песне "Lighthouse", то ее текст можно интерпретировать с двух различных углов. Прежде всего, очевидно, что в ней поется о человеке, заблудившемся в море, и пытающем найти дорогу в гавань, но на все это также можно взглянуть метафорически, что позволяет интерпретировать это по-другому. Если говорить одним словом - то песня о "надежде". "Голос Нины Кральич тронул меня с самого первого прослушивания, и еще сильнее во время студийной записи ее песни. Исполнение Нины придало песне совершенно новое измерение. Я думаю, что нам удалось создать нечто необычное, магическое", комментирует Торстен Брёцманн, который работал с такими известными артистами, как Лена, Бонни Тайлер, No Angels, Reamonn, Эми МакДональд и Modern Talking. "Когда я думала кому или чему я бы хотела посвятить свою песню, я вспомнила о своих друзьях, которые работают на корабле, и возвращаются домой только проведя полгода или год в море, и их рассказах: о ностальгии по дому, о неожиданном волнении, о приключениях, которых в до сих пор неизведанных морях бывает предостаточно. Кроме того песня сильно напоминает нам о проблеме беженцев, которые ищут свой новый дом вдалеке от Родины, и о тех трагических ситуациях, с которыми им приходится сталкиваться," добавляет Нина Кральич. На прошедшей сегодня пресс-конференции была представлена вся делегация Хорватии, которая примет участие в конкурсе Евровидение. Исполняющий обязанности генерального директора Хорватского Радио и Телевидения Синиша Ковачич, пожелал Нине Кральич удачи и большого успеха на конкурсе Евровидение. "Как я уже говорил при презентации нашей песни для Евровидения - ты создана для большой сцены", похвалил он Нину. "Мы верим в успех. У меня есть хорошие предчувствия. Нужно отметить, что финал конкурса Евровидение пройдет 14го мая, а 15го мая - мы будем отмечать большой юбилей - 90 летие хорватского радио и 60 летие хорватского телевидения. Мы ожидаем подарка. Если все сложится, мы ждем твоего выступления на праздновании в Загребе", завершил он. Сама Нина Кральич рассказала, что пока не волнуется, поскольку одинаково готовиться к любому выступлению, вне зависимости от размеров аудитории. "Но я не могу предсказать, как я буду чувствовать себя в тот момент", добавила она. Певица также рассказала о своих выступлениях в Амстердаме и Лондоне, подчеркнув, что видеозаписи ее выступлений стали самыми просматриваемыми на Youtube. Также она выразила мнение о том, что качество песен на конкурсе значительно выросло. "Конкурс очень сильный, и будет очень интересно", подытожила она. Певица также рассказала, что не планирует каникул после шоу, а продолжит работу над дебютным альбомом. Глава делегации Хорватии, Желько Месар, рассказал о том, что они прибывают в Стокгольм 1го мая. Продюсер Райко Павлович познакомил с теми сотрудниками делегации, что останутся в Загребе, во главе с редактором Элизабет Хомси. В состав национального жюри финала войдут Душко Мандич - председатель, а также Борис Джурджевич, Памела Рамляк, Дамир Кедзо и Ким Версон. Душко Чурлич будет комментатором прямых эфиров на HTV1 и HR2. В финале шоу результаты голосования хорватского жюри объявит Невена Рендели. Специльный эфир с Златко Туркалем Турки запланирован в утренней программе HR2. Дизайнер костюмов Нины Кральич для конкурса Юрай Зигман, рассказал о выпавшей ему удаче работать с Ниной. Помимо платья самой Нины, Зигман создаст костюмы и для бэк-вокалистов. "Пришло время визуально выделиться на Евровидении. Мы способны на это, поскольку в Хорветии потрясающие дизайнеры", говорит он. Обувь Нины для выступления на Евровидении создаст Иван Леденко. Также на пресс-конференции был представлен и состав бэк-вокалистов: Андрей Бабич, Мартина Махерле, Даниела Вечеринович и Лино Лацмановчи Чучич. Андрей Бабич известен в качестве автора песен Португалии 2012, Словении 2009, Словении 2007, Португалии 2005, Хорватии 2003. Также он выступал бэк-вокалистом у Словении 2007 и Хорватии 2003. Мартина Махерле пела лид-вокал в номере Словении 2009, и бэк-вокал Словении 2007, 2011, 2012, Хорватии 2003 и Черногории 2008. Андрей Бабич похвалил работу дизайнера костюмов, отметил: "Платье Нины действительно впечатляет. Я рискну заявить, что у Хорватии никогда не было подобного костюма и модного подхода. Я считаю, что выступление как в визуальном, так и вокальном плане будет на самом высоком уровен и запомнится всем зрителям". В пятницу вечером представительница Хорватии на Евровидении Нина Кральич выступила в Кристальном зале отеля Вестин в финале национального отбора на конкурс Мисс Вселенная. Увидеть ее выступление вы можете здесь (на 1:50:00). Молодой хорватский дизайнер и костюмер Юрай Зигман, был выбран дизайнером для костюмов, которые Нина Кральич будет носить на конкурсе Евровидение. Нина уже была одета в платье от Зигмана в прошлую субботу на "Eurovision in Concert" в Амстердаме. Юрай Зигман работал со многими местными и региональными звездами. "Эта работа отличается от того, чем я обычно занимаюсь, коммерческими коллекциями, представляемыми на подиумах. Я люблю работать со сценой, но работа с каждой звездой музыки - определенный вызов, вне зависимости от их музыкального выражения", говорит Зигман. Однако, для него работа с Ниной Кральич является особым удовольствием. "Нина, и ее песня "Lighthouse" весьма вдохновили меня. Очень редко, когда музыка вдохновляет меня до подобной степени, но это песня просто унесла меня в другой мир", рассказывает он. Зигман в этом году также работает над костюмами женской половины команды Боснии и Герцеговины. В эту субботу Нина Кральич выступит в качестве гостьи на шоу "Голос Хорватии". На следующией день после выступления в полуфинале Голоса, Нина отправится в Великобританию для участия в еще одной промо-вечеринке "London Eurovision Party". Ее последним домашним выступлением перед отлетом в Стокгольм станет выступление в концертном зале Лисински Загреба 27го апреля на совместном концерте с ее педагогом по Голосу Жаком Худеком. Помимо других специальных сюпризов, для концерта Нина готовит акустическую версию своей песни "Lighthouse". Презентация официального видеоклипа на песню Хорватии "Lighthouse" в исполнении Нины Кральич прошла сегодня в утренней программе телеканала HRT Dobro jutro, Hrvatska. Вместе с Ниной программу посетил режиссер клипа Филип Филкович Филац. Он заявил о том, что работа с Ниной прошла очень успешно. По его словам основной идеей клипа было построить мир, который бы окружал песню и саму Нину. "Все сделано в виде плейлиста, основанного на интересных историях, и зрителям предстоит пройти через серию коротких сценок, которые мы представляем в этом видео", говорит Филкович. Нина Кральич говорит, что очень довольна сценарием клипа и тем, что он превратился в короткий кинофильм. Больше всего ей понравилась идея надежды и глубокий символизм, в который не вошли ожидаемые мотивы воды и маяка. "Мы следим за историей Земной Нины, которая пытается соединиться с духовной Ниной, преодолевшей все земные трудности и проблемы, и свободной парящей во вселенной, символизируя надежду", описывает Нина Кральич. После выступления на программе Нина отправится на промо-мероприятия в Амстердам и Лондон. Нина Кральич завершила съемки официального видеоклипа на песню Lighthouse. За реализацию видео отвечал известный режиссер Филип Филкович Филац и компания Antitalent production. "Песня Lighthouse в исполнении Нины Кральич не является плагиатом. Действительно, в песнях есть совпадающая музыкальная фраза из двух тактов, что является частым повторением в музыке. Однако, по мнению экспертного совета, нет достаточных доказательств того, что можно было бы считать данный случай плагиатом, поскольку определение плагиата подразумевает полное совпадение мелодии из четырех тактов с оригиналом, что не имеется в данном случае. Песня Lighthouse является похожей на подобные песни в аналогичном музыкальном жанре. Комиссия считает, что у авторов не было намерения создать плагиат"
Хорватское Радио и Телевидение по этому случаю вновь подчеркнуло свою поддержку представительнице Хорватии и пожелало ей удачи и успеха на предстоящем конкурсе в Стокгольме, выразив веру в то, что Нина способна представить Хорватию с наилучшей стороны. Хорватия выпустила превью видео на песню "Lighthouse", которое представляет 3х минутную нарезку ранее опубликованного документального видео "Хвар - во время шторма". "Для сопровождения песни 'Lighthouse' и впечатляющих вокалов Нины мы использовали абсолютно сенсационное произведение искусства сделанное Romulić & Stojčić production. Мы выбрали видео острова Хвар, поскольку он действительно является одним из красивейших островов Хорватии", говорит глава делегации Желько Месар. Хвар может считаться "самым солнечным островом Хорватии", поскольку в нем в среднем в год 2726 часов солнца, что привлекает тысячи туристов и яхтсменов, но у него есть и темная сторона, которая не менее завораживающа. Творческий дуэт Марио Ромулича и Дражена Стойчича провел два года снимая небо вокруг острова, и итоговый проект увидел свет 8го февраля 2016 года. За двухлетний период, Ромулич и Стойчич сняли несколько ярких громовых штормов в замедленном движении. Всего ими были сняты 350 тысяч фотографий, и только 10 тысяч лучших изображений вошли в итоговое видео. Съемки прошли как на самом острове Хвар, так и на горе Биоково и близлежащем острове Брач. Официальный видеоклип на песню Lighthouse будет опубликован в ближайшие 10-15 дней. Нина Кральич сегодня одержала победу на музыкальной премии Porin в категории Лучший новый исполнитель года. К сожалению, представительница Хорватии на Евровидении, из-за болезни не смогла посетить 23ю церемонию Porin, которая прошла в Сплите. "Я могу лишь поблагодарить свой рекорд-лейбл за эту возможность, Инес Прайо, Арьяна Кунштека и Тихомира Прерадовича за их доверие, своих родителей и близких друзей, которые всегда рядом с мной, и зрителей за признание. Мы продолжим работать над созданием новых произведений в сфере искусства и доказывать, что музыка не имеет границ", написала Нина на своей Facebook странице. Хорватское Общество Композиторов подвергло критике выбор телеканалом HRT песни для конкурс Евровидения 2016, поскольку она была написана иностранными авторами. "Мы были неприятно удивлены прецедентом, который был создан Хорватским Радио и Телевидением. Мы осознаем, что многие другие участвующие страны Евровидения уже давно отказались от своего патриотизма и национальной идентичности, регулярно привлекая иностранных авторов для написания песен для их артистов, а также то, что некоторые хорватские авторы, члены Общества, писали песни для представителей других стран на конкурсе. При этом, у нас есть несколько причин, почему мы полагаем, что Хорватия должна быть представлена только песней, написанной только хорватскими авторами: 1) В Хорватии существует успешная музыкальная индустрия, большое количество активных композиторов, в том числе, один из которых был в прошлом автором песни-победительницы конкурса Евровидение, и игнорирование всех этих людей равноценно ситуации, если бы Телевидение Франции отправило на международный кулинарный конкурс блюдо итальянской или немецкой кухни; 2) Каждая песня является коммерческим продуктом, бизнес предприятием, в которое композитор и автор текста инвестируют свой талант, знания и время, аранжировщик и продюсер - свои технические и профессиональные ресурсы, музыкальный лейбл и издатель - деньги и инфраструктуру. Использовать такую мощную промо-платформу, как конкурс Евровидение, для того, чтобы продвигать песню, созданную вне этой национальной цепочки - означает приносить ущерб национальной экономике; 3) Патриотизм - Хорватия уже дорого заплатила за свою независимость и национальное существование. Хорватский язык, музыка и культурное выражение является частью хорватской национальной идентичности. Это должны понимать все граждане Хорватии, и в особенности служащие Хорватского Радио и Телевидения"
Наконец, письмо подчеркивает, что Общество Композиторов находит особенно проблемным тот способ, которым "Lighthouse" была выбрана для участия в конкурсе. Однако, не желая мешать первому международному выступлению молодой и талантливой певицы Нины Кральич, они желают ей удачи и успеха с песней "Lighthouse", при этом апеллируя к ответственным персонам телеканала HRT, чтобы в следующем году они вспомнили о своей роли в качестве национального общественного вещателя и вернулись в выборе песни для Евровидения обратно к национальным авторским ресурсам. "Какое отношение национальный патриотизм имеет к отбору на Евровидение? ", ответила на письмо сама Нина Кральич. "Все, что мы делаем, нацелено на достижение наилучшего места, и для этого мы выбрали самую подходящую песню. Этот выбор делался на основе музыкальных критериев, а не критериев национальности авторов. Это абсолютно позорно, вы убиваете то, чем является музыка: универсальным языком, объединяющим людей. Вы сами признаете, что хорватские композиторы часто пишут песни для зарубежных исполнителей. Тогда в чем же проблема? Этот постоянный негативный подход утомляет и пугает". Исполняющий обязанности генерального директора телеканала HRT Синиша Ковачич признал, что он "сожалеет о том, что песня, с которой представительница Хорватии выступит на конкурсе Евровидение этого года не была выбрана из творчества местных авторов". Он добавляет, что уверен, что новое руководство программного отдела Хорватского Радио и Телевидения в будщем изберет иной способ отбора песни, которая будет представлять Хорватию на конкурсе Евровидение. "Но в этот момент, важно отметить, что мы поддерживаем нашу Нину Кральич. Она - талантливая, молодая исполнительница и у нее прекрасная песня, потому, мы желаем ей успеха на конкурсе Евровидение этого года". Нина Кральич со шведской телевизионной командой сняла свою открытку, которая будет предварять ее выступление в полуфинале конкурса Евровидение 10го мая. Съемки прошли в различных местах Загреба. Режиссер Мацео Фрост, оператор Лионель Кобреро и технический ассистент Георг Бунгард вместе с Ниной посетили Музей искусств и ремесел, кладбище Мирогой, фуникулер, Верхний город, и любимую кондитерскую Нины. Презентация песни, которую Нина Кральич исполнит на конкурсе Евровидение этого года, пройдет в среду, 9го марта, в 14:00 Москвы на втором канале Хорватского радио (онлайн). Гостями ведущего Златко Туркаля Турки станут сама Нина Кральич, глава делегации Хорватии на конкурсе Желько Месар и директор по маркетингу Universal Music Хорватия Нина Меден. Нина Кральич дала интервью хорватской газете Večernji list, с которым вы можете познакомиться в оригинале здесь. Она рассказала, что борется с волнением одинаково, вне зависимости от того, выступает перед пятью или миллионом людьми, и надеется, что оно не помешает ей на сцене Евровидения. Нина говорит, что следит за Евровидением с раннего возраста и помнит всех победителей, но ее фаворит - Эммели де Форест с "Only Teardrops", а из местных, хорватских, представителей - Дорис Драгович. По ее мнению невозможно просчитать правильную формулу успеха на Евровидении, и она даже не пытается сделать это, а лишь будет делать то, что она умеет лучше всего - петь. Ее песня, которая будет представлена публике 9го марта, была записана в хорватской и английской версиях, и язык ее исполнения пока окончательно не определен. "С английским ее поймет большая часть слушателей в Европе, в хорватской версии легче передать чувственность песни", говорит исполнительница. Ее стиль должен соответствовать песне и дополнять ее, потому трек уже был отправлен ряду дизайнеров, которым было предложено высказать свое мнение о визуальном воплощении атмосферы композциии. Итоговый образ, скорее всего будет достаточно необычным и изысканным, а не простым классическим платьем. Певица планирует в сентябре выпустить свой дебютный альбом, на который войдут две песни ее собственного авторства. Она пишет песни на английском, но планирует когда-то научиться писать и тексты на хорватском, для чего, по ее мнению, требуется высокий поэтический слог. Следующим ее шагом должно стать обучение игре на гитаре. Как сообщает Story.hr, большую часть затрат на участие Хорватии в Евровидении, которые примерно составят около 200 тысяч евро, возьмет на себя партнер телевидения Хорватии - лейбл Universal Music Croatia, на котором Нина Кральич записывает свой дебютный альбом, на который также войдет и ее конкурсная песня. Universal Music в этом случае будет отвечать за продюсирование песни, которую Нина исполнит в Стокгольме, а также за съемки видеоклипа на нее. Остальные расходы планируется окупить за счет спонсоров и рекламных партнеров. Хорватский вещатель HRT подтвердил свое участие в Евровидении 2016 в последний день возможности снятия заявки с конкурса без наступления финансовых последствий - 26 ноября 2015 года. На новый год было объявлено о том, что Александр Костадинов покидает HRT после 29 лет работы в организации и 15 лет на позиции Главы делегации. Телеканал HRT представил выбранную внутренним отбором представительницей Хорватии 24го февраля 2016 года.